Crufts kicks off today with plenty of dog owners hoping their pooch will bring home the prize – but one stylish mutt is already winning in the style stakes. 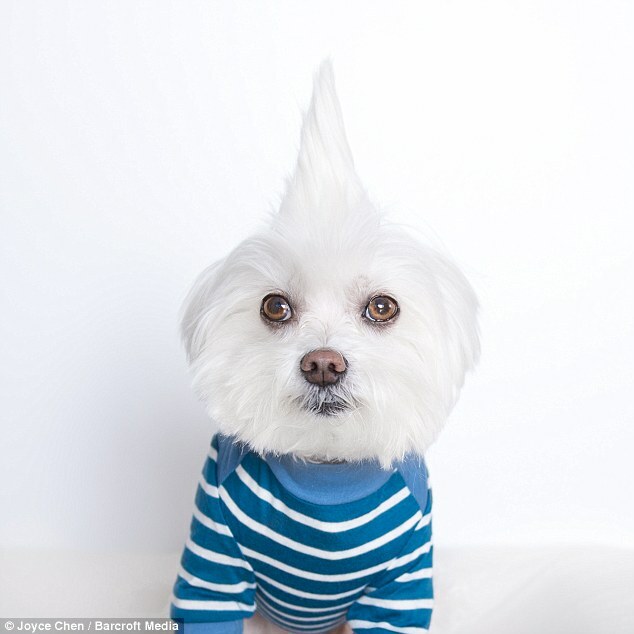 With his preppy look, this pup has gained himself 100,000 followers on Instagram since his owner, Joyce Chen, from Vancouver, set up the account three years ago. 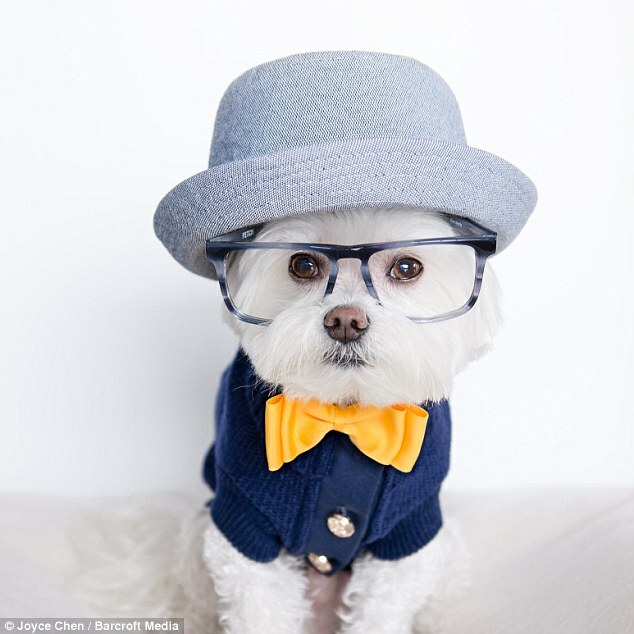 Joyce captures photos of Toby, her 10-year-old Maltese, wearing an assortment of garish outfits that featured thick rimmed glasses, a trilby hat and bow tie. 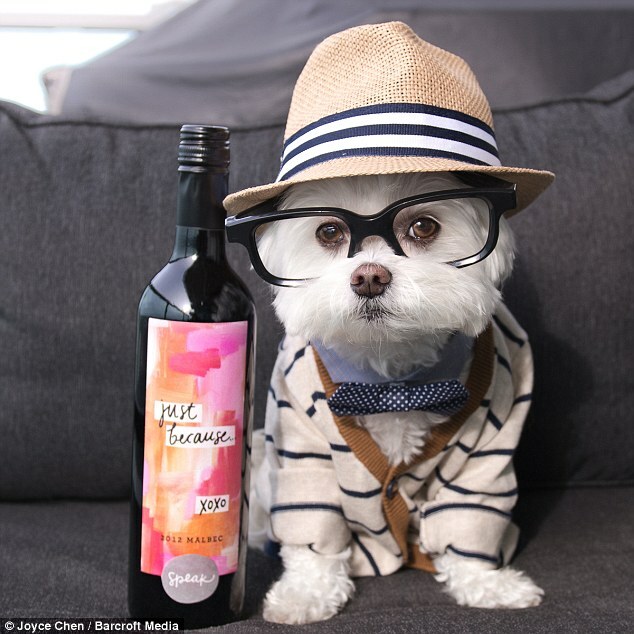 Joyce claimed that she got the idea to dress up her pooch after she placed her glasses on Toby’s nose while she was out buying a coffee. 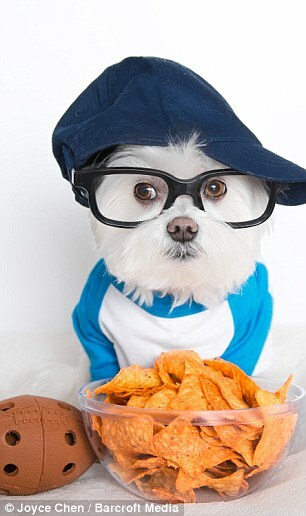 But since taking some initial shots of Toby, Joyce has begun to look for more outfits to dress her muse up in and turned her pet pal into an Instagram sensation. Finding garments in pet boutiques around where they live Joyce is pretty confident that there isn’t an outfit Toby can’t pull off. Joyce said: ‘I started dressing Toby after I put my sunglasses on him and noticed that he was completely fine with it – most dogs would tilt their heads to get them off, but Toby didn’t. 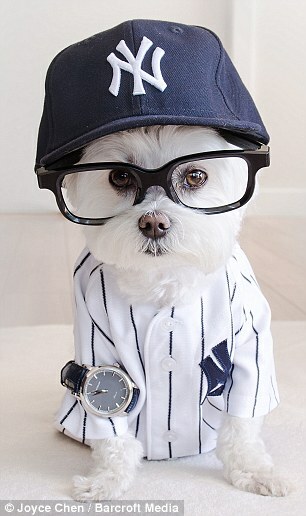 Joyce got the idea to take pictures of her pooch after placing her glasses on Toby in a coffee shop. ‘I recognised that he’s a bit of a natural model, he’s a great specimen, so I decided to find some fun outfits to do a shoot. Toby’s keen fashion sense doesn’t come cheap though with Joyce forking out up to £56 for just one of the pup’s ensembles. ‘I probably spend between $30-80 (£21-56) on an outfit for Toby – my favourite is with the fedora, his bowtie and striped cardigan. He looks smooth. ‘Toby has been enjoying his internet fame, although I’m not quite sure he realises just how cool he actually is. ‘I try to stick with the hipster theme. 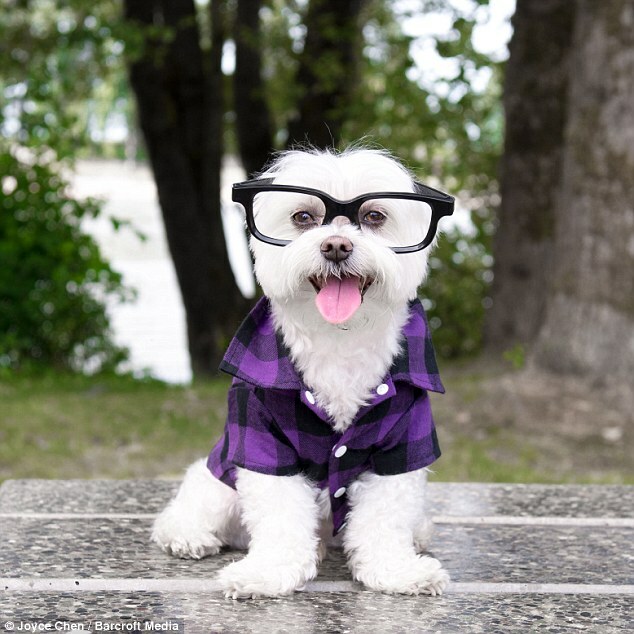 Thick-rimmed glasses, bow ties, plaid shirts and hats are is signature look. Joyce says that it is Toby’s eyes that really help him to pull off his distinguished spectacles. She said: ‘I had a Maltese when I was a child and I’ve always loved this breed. I fell in love with Toby the moment I saw him. He was this little ball of fluff with these large expressive eyes. I had never seen a Maltese with such beautiful eyes! ‘People are always commenting on Toby’s eyes. They say his eyes look very human like. They’re also quite surprised how young Toby looks. Article originally appeared on the Daily Mail.